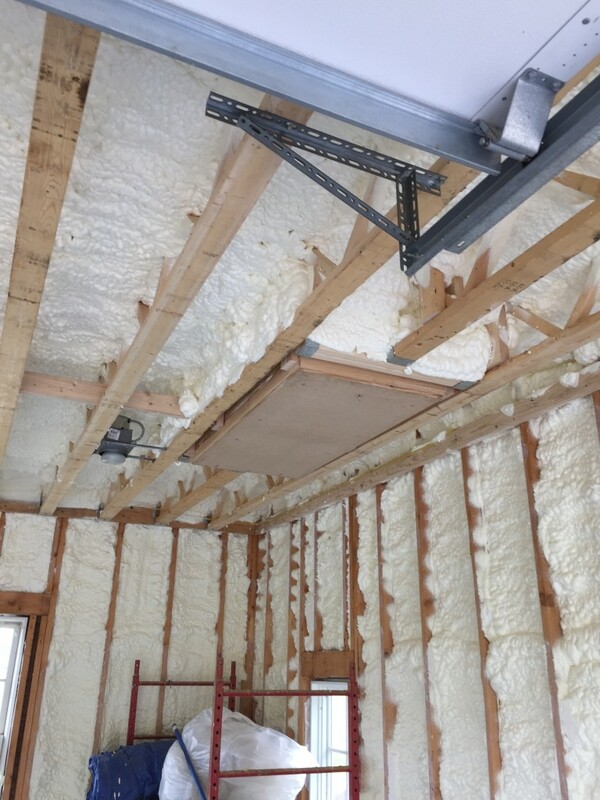 This is a picture of a spray foam insulation job we recently did in the Portland Maine Area. 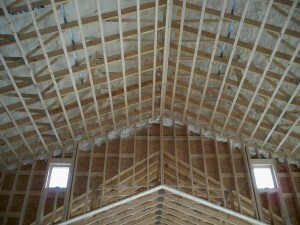 We sprayed closed cell foam in the wall cavities and on the ceiling. This room is being used for indoor agriculture which produces a fairly humid environment. Therefore, applying a vapor barrier product like out closed cell spray foam its a great choice. 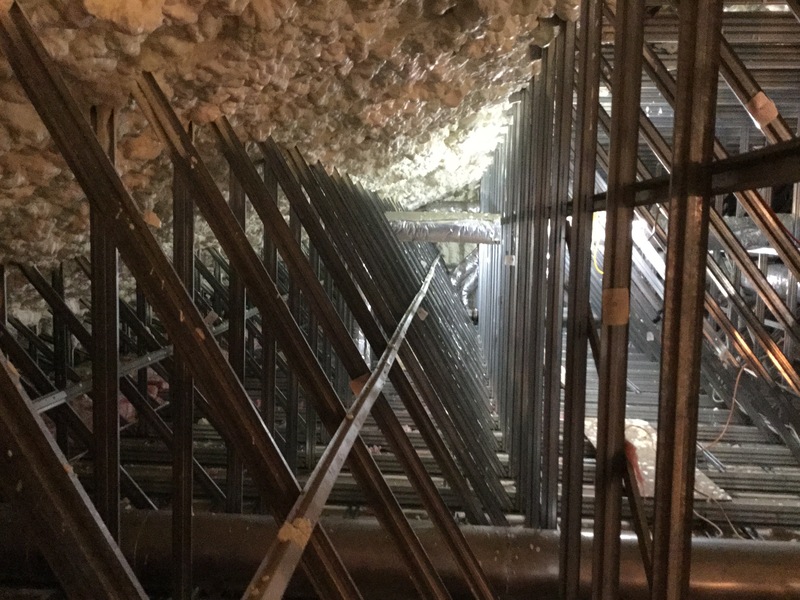 It helps to contain the moisture in a way that it can be transported out of the heated space via the duct work in the wall system. This was an interesting application where we sprayed an existing boat house. Originally there was only fiberglass insulation in this building. 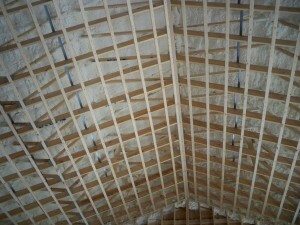 For building of this size that needs to be heated, the fiberglass was just not cutting it. The fiberglass was removed and replaced with our Icynene Proseal which has an R-value of 7.1 per inch. 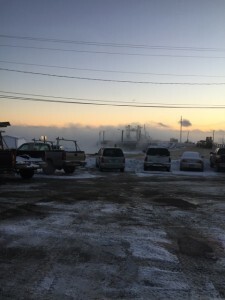 This school was having some major heat loss problems as well as ice damming. The cause was coming from poorly installed fiber glass insulation in the attic. The fiberglass was loosely placed on the attic floor. 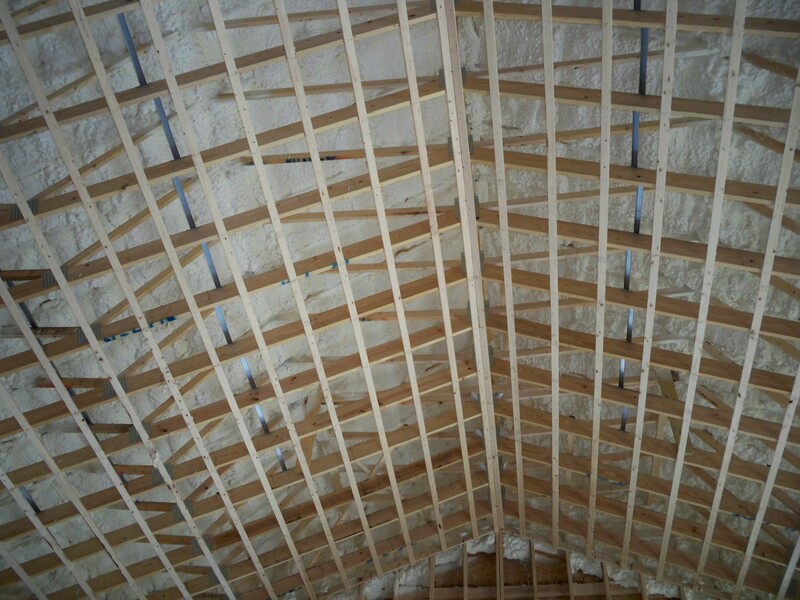 Whoever installed it tried to isolate the mechanicals by building a shell with fiberglass insulation. 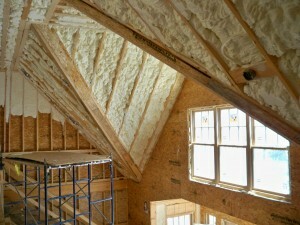 The problem is that fiberglass is not an air barrier. The warm moist air was escaping through the insulation and warming the underside of the roof deck which was creating ice dams. 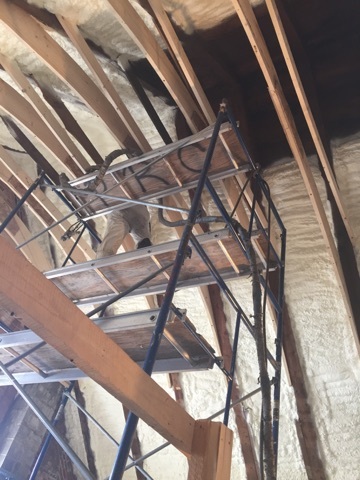 Also, the cold air from the attic was penetrating the fiberglass which cooled the heating ducts, thus making them less efficient. 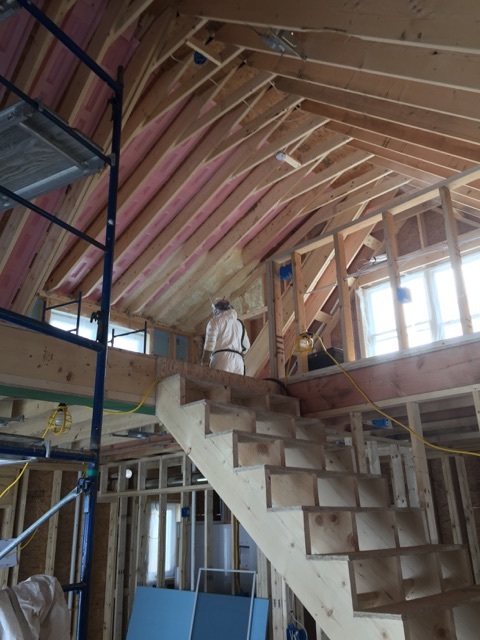 Our solution was to spray the roof deck and bring the attic area into conditioned space. This allows the mechanicals to run in a conditioned environment, which improves efficiency. 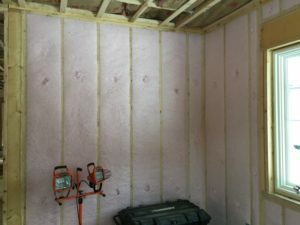 Also, the foam established an air barrier. This helps keep the warm air from escaping out through the roof deck. Thus, helping with the ice dam problems. 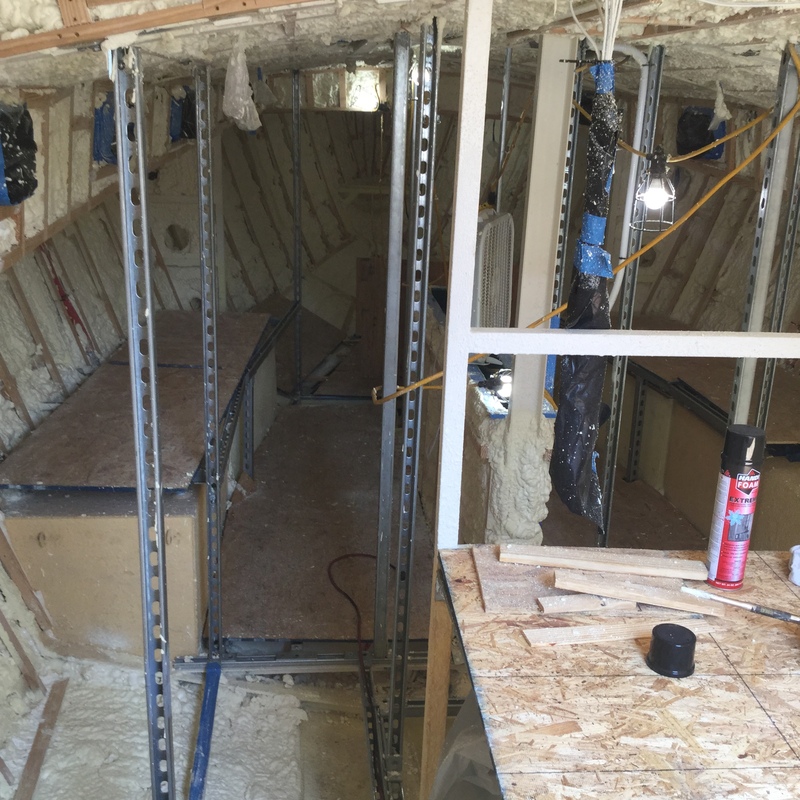 This customer was building a boat that was going to be used in both cold weather and warm weather sailing. They were concerned both with staying warm in the winter weather and cool in the summer months. Also, they were concerned about condensation. 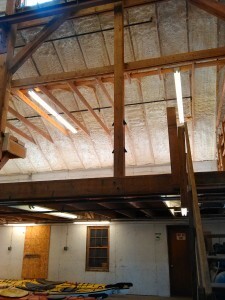 We applied water blown closed cell spray foam to the interior. This helped with all three concerns. 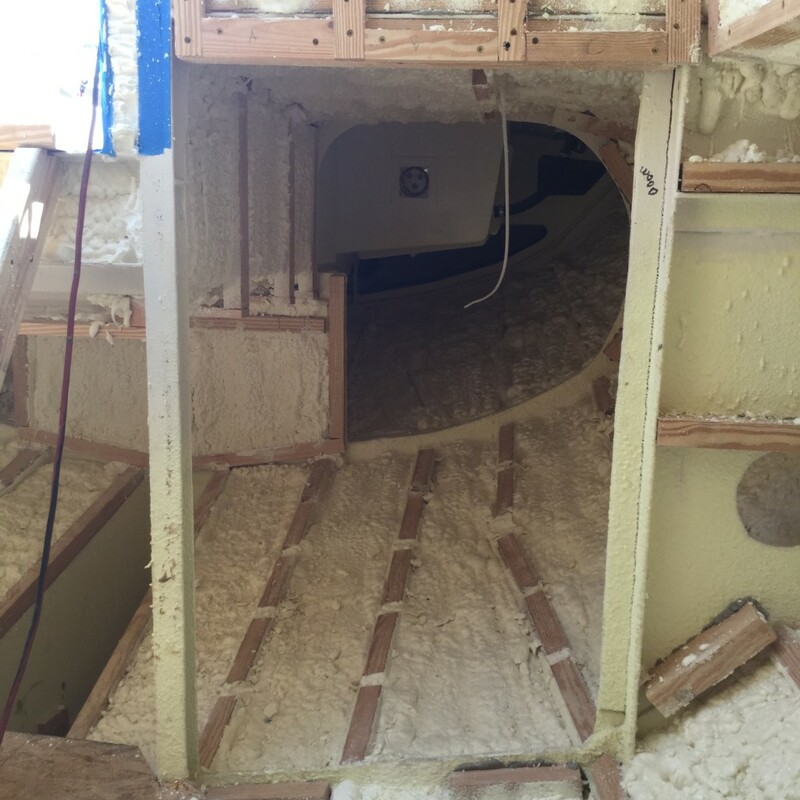 We left the bilge areas out because of standing water but everything else was insulated. This is a great option for someone who is retrofitting a boat or building a new boat. 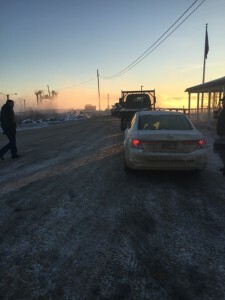 We can travel to any boat yard in the state of Maine/NH area. 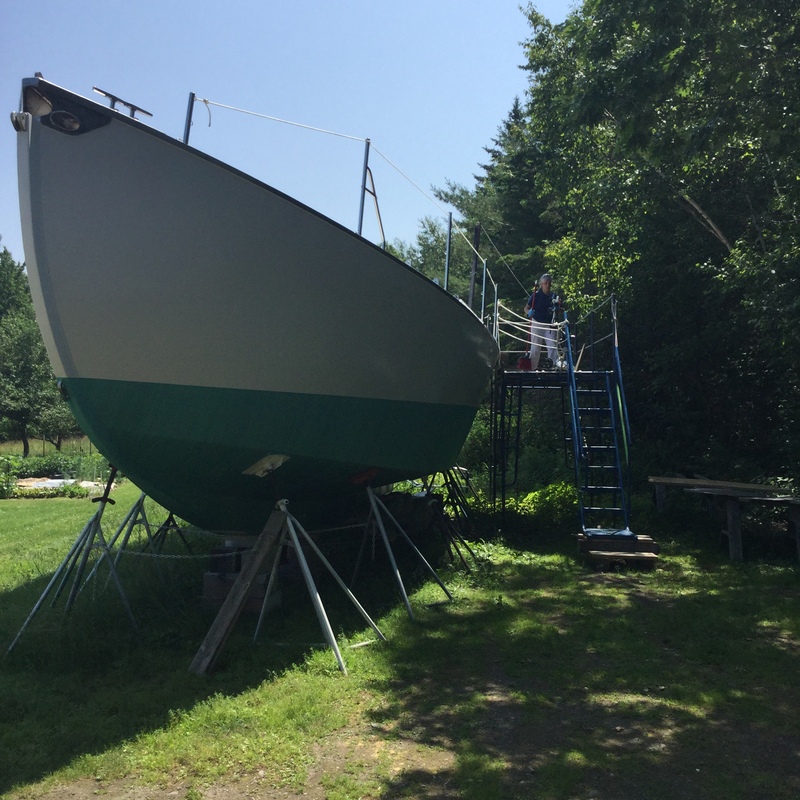 We can spray sailboats, fishing vessels, house boats, and recreational water craft. 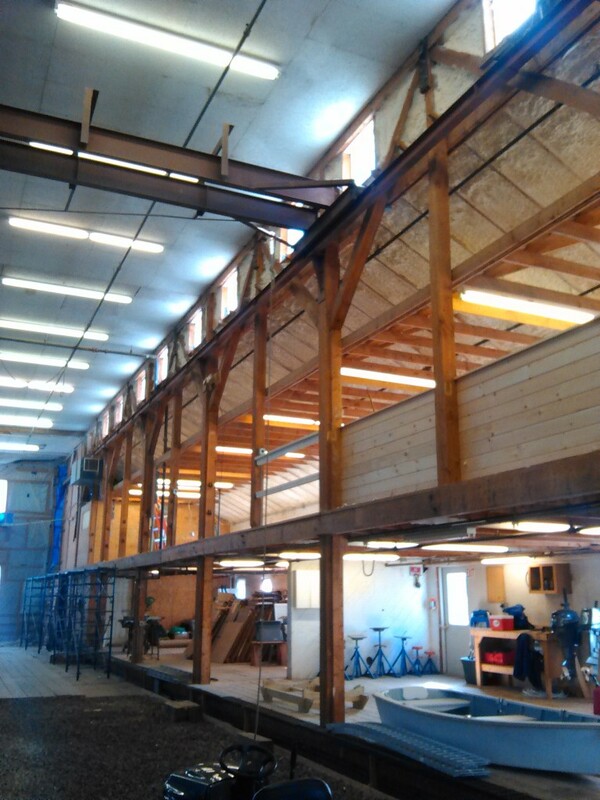 Steel Hull Boat being built in Albion Maine. Will be doing both warm and cold weather sailing. This a very common job for us. People like to build garages with an apartment above. Using our foam is a great way to provide a good thermal envelope around the whole building. Most importantly, it creates a barrier between the apartment above and the garage below. It keeps the cold out of the apartment when the garage door is opened. It dampens the sound from door openers and cars starting. 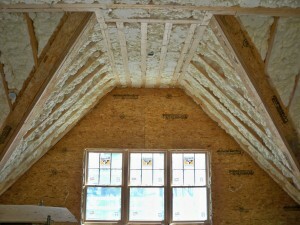 It helps creates an air barrier that will not allow fumes to penetrate into the living space above. 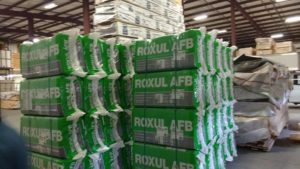 Foam is a very good product this application when installed properly. 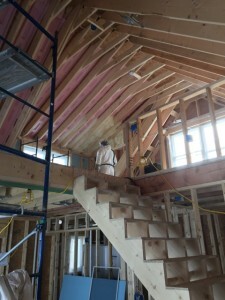 This job was done in the Boothbay region of Maine. 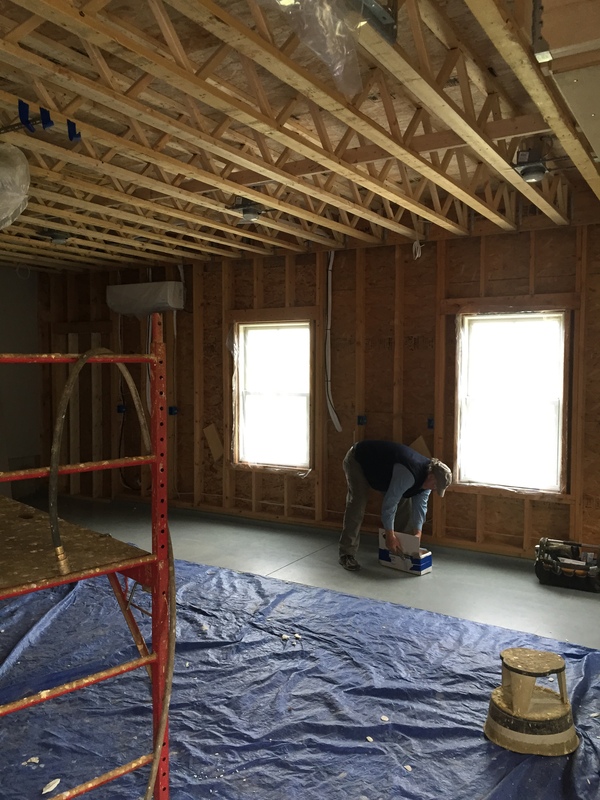 Installing Spray Foam near Rockland, Maine. This job was done in February when it was at least 10 below outside. 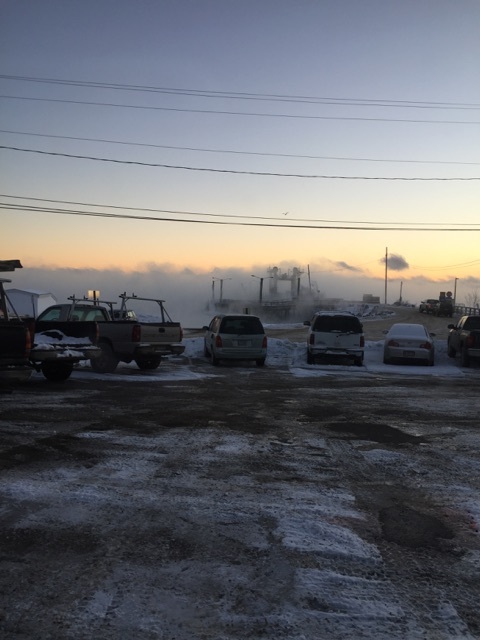 You can see the sea smoke coming off the water. This is us waiting in line to take the ferry to Islesboro. It was an extremely cold weather application. 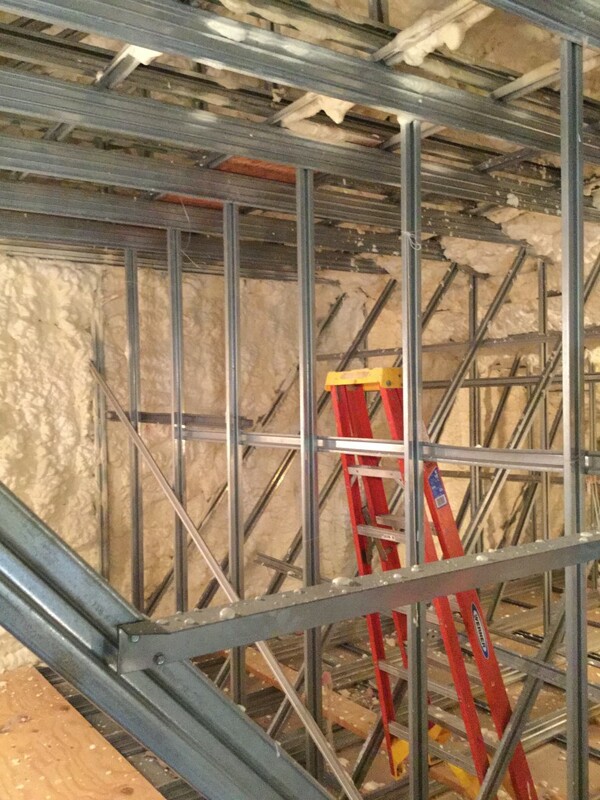 We used Open Cell on this job. Our application temp for that product is very low so we were able to spray. We would not have been able to do this job if we had to use our closed cell product products. 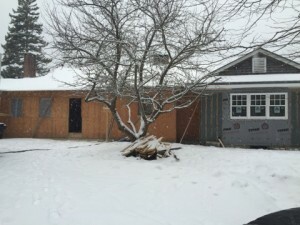 By the time we finished, the carpenters were heating the house with a small wood stove burning scrap wood. 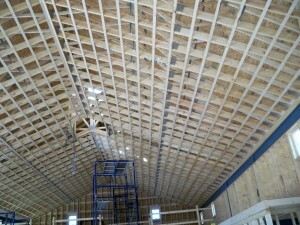 Here is a job we did down near the Ellsworth area. This person had a very efficiently build house on a lake. The lake was extremely windy. 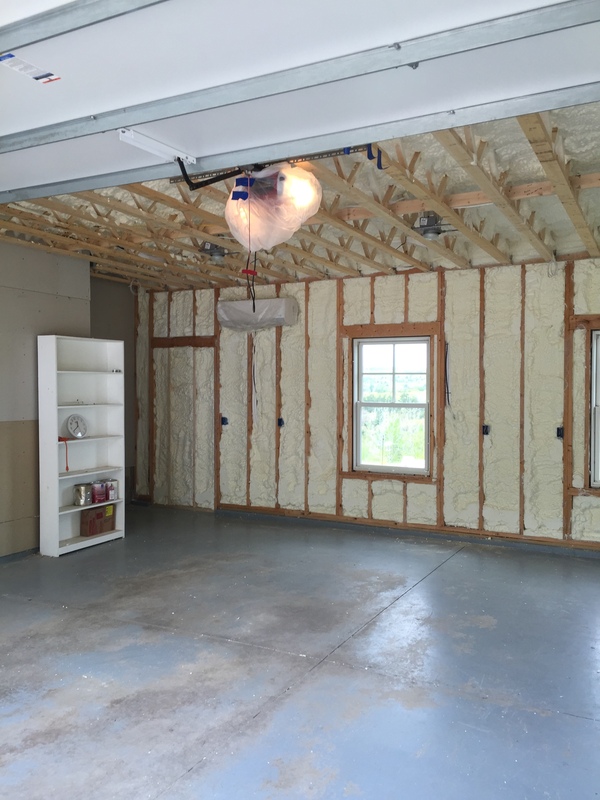 Adding the air barrier material was essential in creating a comfortable living and heating environment. We used Icynene Classic Plus. We catherdralized the roof deck so they could use the whole interior as living space. 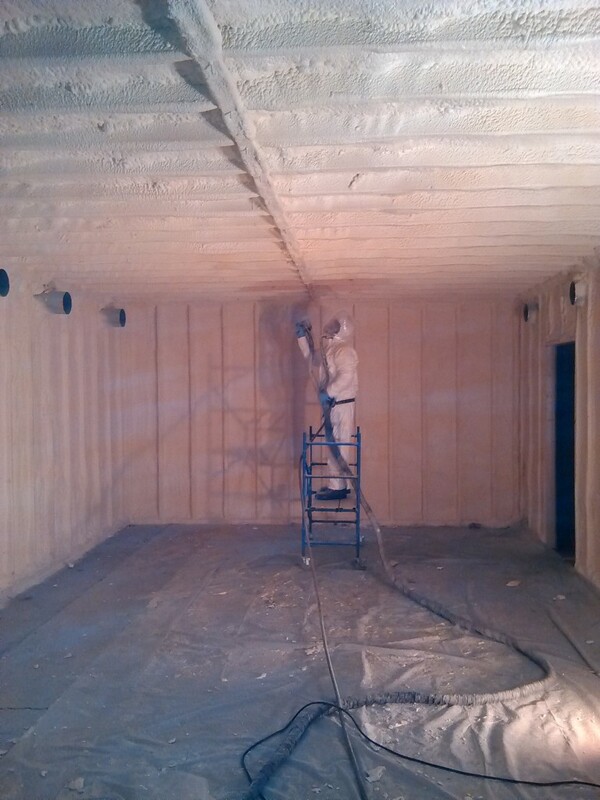 We also sprayed the daylight basement. 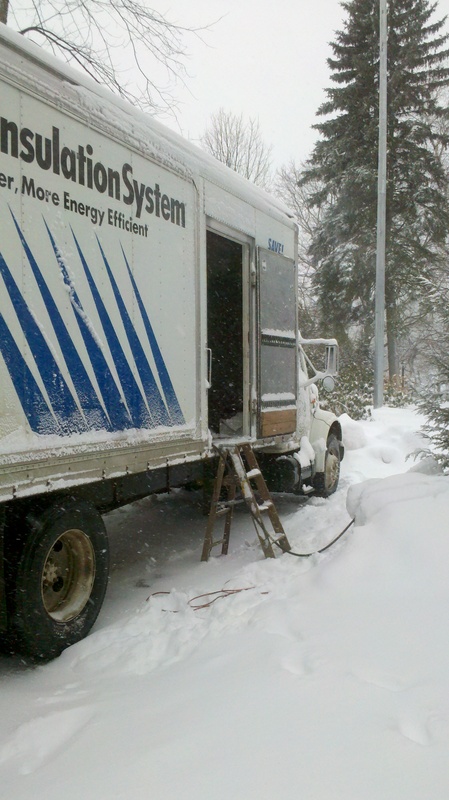 Here is a job we did near Bangor Maine. This was one of the oldest historical commercial buildings in the state. 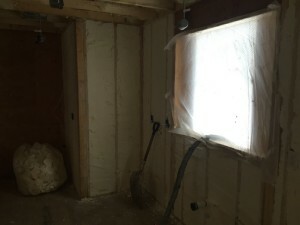 Needless to say there was no insulation what so ever. This was a huge improvement on their energy consumption. 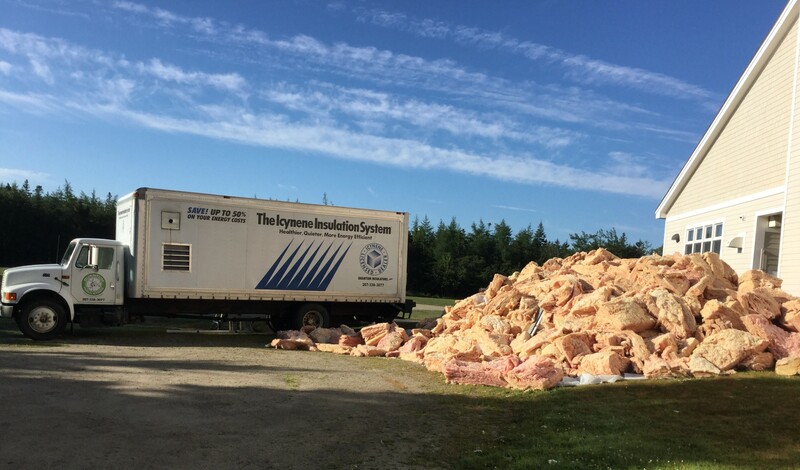 We used the new Icynene Classic Plus. This our favorite product so far. It has a higher R-value but still has the aggressive expansion of the open cell. 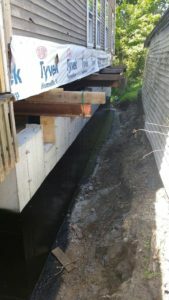 Here are just a couple pictures of a recent job that we did in Portland, Maine. 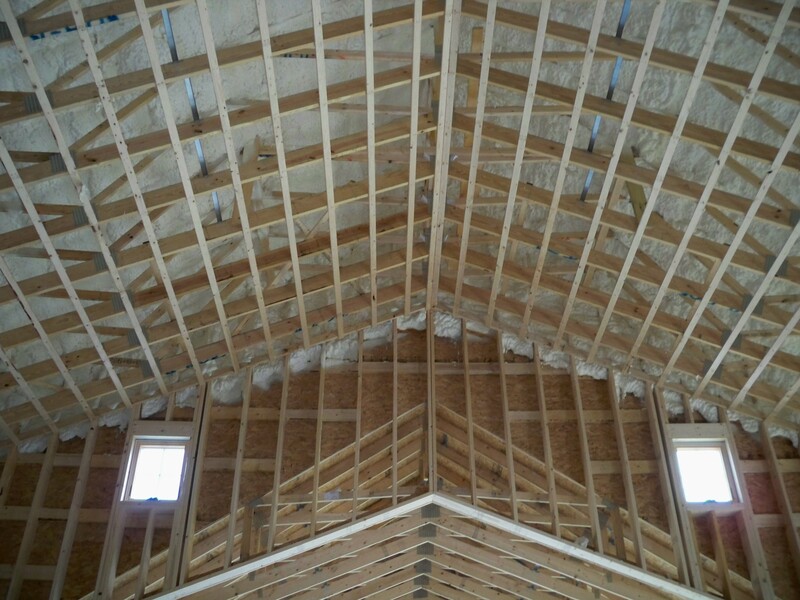 You can see how well the foam fills this fairly complex framing structure. 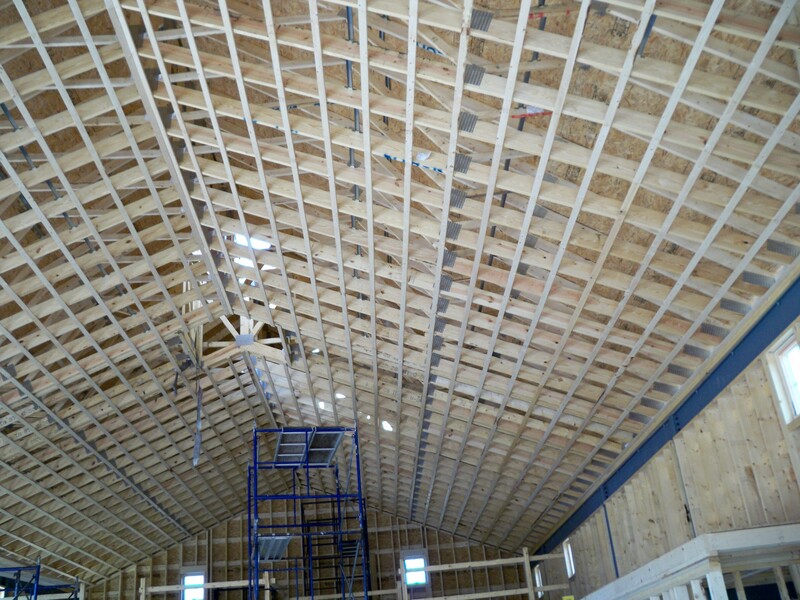 This customer decided to use insulated panels on the wall and spray the roof deck with Icynene. Please let us know if you have any special applications for foam that you would like us to discuss. We have a large amount of pictures and there is a good chance that if it can be done then we have done it. We are happy to answer any questions you have through this blog or by phone call. 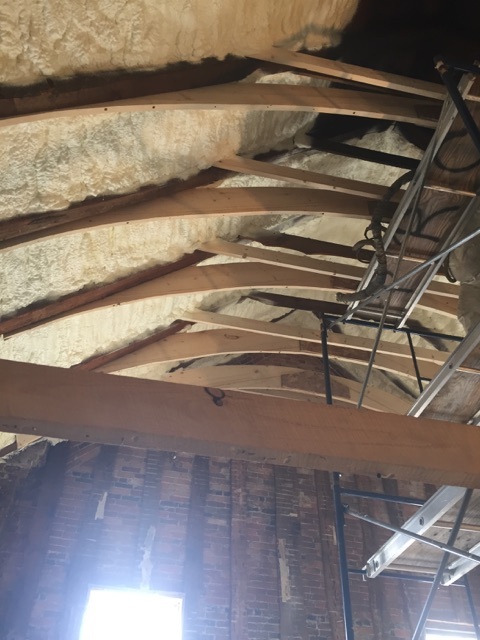 Here are a few pictures from a recent job we completed in Bangor. This just a basic before and after shot of the buildings roof deck.